It is a sport played by millions of people around the world. Boys and girls, men and women, from all walks of life and from nearly every nation on earth; soccer boasts a pool of players that is vaster and varied than possibly any other sport. Soccers appeal is understandable; not only is it a fun and exciting game to play, it is a sport that nearly anyone can play as the only thing you really need is a ball and your feet. However, that is not to say that there is not more to soccer than the ball, and fans and players of organized soccer know that the importance of the soccer jersey cannot be understated. A soccer jersey can convey the personality of your team. From the colors to your team crest or logo; your team’s soccer jersey is what makes the first impression on your opponents. If you are the coach or organizer of a youth team, or even a team of older and more experienced players, then selecting a jersey with the right look is an important part of your job. 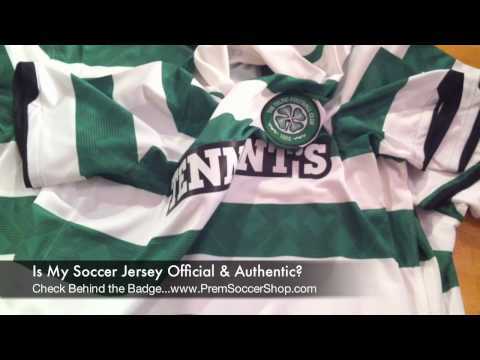 Online retailers and brick-and-mortar stores alike offer selections of jerseys as well as the ability to put names and numbers on the back, just like those seen on the jerseys of the professionals. Like jerseys in other sports, fans of soccer also like to wear the colors and crest of their favorite teams and favorite players. The unmistakable colors and cuts of the most famous soccer jerseys are clearly identifiable, even from a distance, and wearing them allows fans to make a statement of loyalty to their beloved club. However, simply wearing the soccer jersey of your favorite team is only one way that soccer fans enjoy the thrill of wearing an official jersey. The worldwide appeal of soccer gives fans of the game hundreds of ways to add new jerseys to their collection. What true soccer fan can not appreciate the appeal of wearing the colors of great teams like AC Milan or Manchester United? And with combinations of home and away colors, as well as short and long sleeve versions, even the love of a single team can spawn a collection of several jerseys. Further, there is more to loving soccer than loving a single team. The various leagues around the world can make it easy to have several teams to root for, and each has their own distinctive collections of jerseys that fans will covet. Rooting for specific teams is one way that people find themselves collecting jerseys, but rooting for favorite players might be even more popular. Wearing a soccer jersey with the names of great players on the back is as popular in soccer as it is in other sports. Ronaldinho, Beckham, Zidane, Ronaldo, are just a few names of soccer greats that adorn so many jerseys. And of course, let us not forget the ever popular Pele, who is still a popular choice decades after his playing career has ended. Favorite teams and players aside, perhaps nothing catches the imagination of soccer fans like the World Cup. It is a time when team alliances are put aside and patriotism rules the day. With 198 nations fielding teams, and 32 of those teams making it to the final tournament, the World Cup is an event that drives soccer fans all over the world to purchase a new soccer jersey that conveys their national pride. Whether you are wearing the jersey of the team on which you play, or the jersey of the team you root for the most, using the Internet you can find a soccer jersey for the team, player, or colors that best define you.